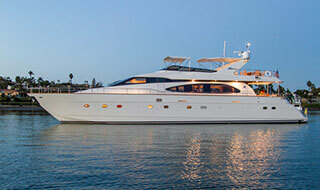 One of the most well-equipped marinas in the islands, Deer Harbor is a great place to start your adventure. You’ll find top of the line facilities here, along with shopping, dining, water sports and more. Port Sidney, located at the southeastern tip of Vancouver Island, is a quaint village offering easy access to the world famous Butchart Gardens. Despite its proximity to the large city of Victoria, Sidney has retained its small town charm while offering best-of-breed modern facilities. You’ll find shops, museums, a seaside walk and much more. 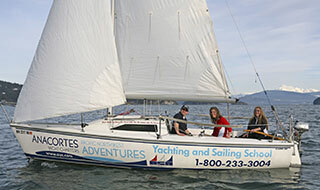 As you venture up the eastern side of Vancouver Island, you’ll find Cowichan Bay. This long and protected bay is a sometime haven for Orca, so keep your eyes open! 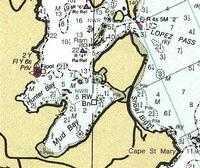 Tucked in the northeast corner of the bay is Genoa Bay. This very well protected harbor offers both dock and mooring space. Once a lumber camp, there are some wonderful hiking trails on the shore, as well. 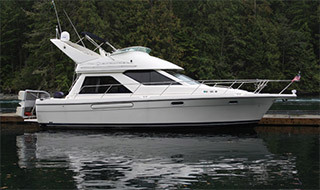 Located between Kuper and Thetis Islands, this is a major cruising destination with two popular marinas. Ferry service is available to the nearby town of Chemainus, for those craving a taste of ‘civilization’. For everyone else, these islands offer wonderful sightseeing, hiking and small craft adventures. Nanaimo is a historic mining town which has grown into one of the largest cities in British Columbia. Nanaimo’s large harbor offers sea planes, restaurants, shops, theaters and museums. The bustling waterfront district has been completely restored in recent years, and is enjoying its return to a thriving tourist destination. Don’t miss the Newcastle Island Marine Park across from the main harbor. This oasis away from the bustling marina across the channel is a wonderful must-see detour. For decades, this has been one of the most popular British Columbian cruising destinations. This is where you’ll run out of film because every at every turn, in every kind of light, this place is truly spectacular! Montague became BC’s first Marine Park in 1959, and has been thrilling visitors with its pristine beauty ever since. Plan to stay at least one night here – sunsets in Montague are truly unparalleled in the world. Located at the southern tip of the Saanich Inlet, Brentwood Bay is best known as a popular sport fishing resort town, and as the entrance to the world famous Butchart Gardens. Located down the Tod Inlet (just south of Brentwood Bay), Butchart Gardens is a colossal example of the best in garden design, maintenance and creativity. Jennie Butchart began cultivating the gardens in 1904 after her husband’s cement company had excavated all of the lime from this piece of property. She transformed what was a stripped, eyesore into a ‘Sunken Garden’ which now also includes a magical fountain. Whether you’ve got a green thumb or a concrete garden, Butchart Gardens is easily one of the most impressive places you’ll ever see. Venturing back into the USA, Roche Harbor will again be the most appropriate place to clear Customs. Tucked in the northwest corner of San Juan Island, behind Henry Island, Roche Harbor is another wonderful small seaside town with a unique personality. You’ll find ample services, dining, shopping and activities here (and this is a great place to pick up any provisions you’ve run low on). 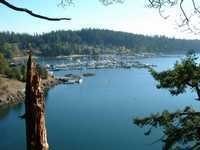 Located on Shaw Island, just opposite Orcas Island, Blind Bay offers wonderful protection from winds and weather. It can be a little tricky to get in and out of this small bay, but the privacy of this place is well worth the extra effort. Friday Harbor is the seat of the Island County government and is the most populous of the island towns. Don’t let that fool you though – this enchanting town is intimate and inviting. You’ll find wonderful shopping, dining and hiking here – along with simpler joys such as sitting on a dockside bench to read, watch birds or simply relax. Plan to spend at least a few hours here (if not longer) to truly take in all the sights. – Located on Orcas Island, Cascade Bay is home to one of the jewels of the islands – the historic Rosario Resort. The original mansion here was built in 1904 by a millionaire Seattle shipbuilder (Robert Moran). Anchored on bedrock, the property took six years to complete, and boasts more than fifty rooms. The architecture includes concrete walls, shipwright style doors and woodwork and inch-thick plate glass windows. Far from seeming like a cold ship, however, this is a warm, world-class resort. 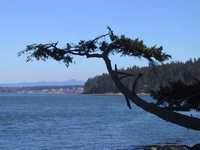 Lopez Island’s Hunter Bay is another small but wonderfully protected location. Crab Island at the mouth of the bay is a wildlife refuge, and offers great bird watching opportunities for everyone on board. As you wrap up the trip, a stop at Cypress Island’s Eagle Harbor is a perfect last stop. 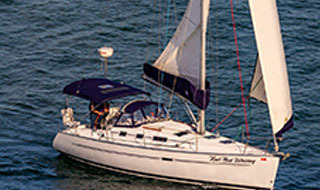 This small east-facing bay provides you with lovely sunrise views across Bellingham Channel. – Eventually, you’ll need to return to Fidalgo Island, but you’ll have time for a leisurely return while you begin working on next year’s itinerary. We look forward to seeing you next time!